Nicklaus Club – Monterey, formally Pasadera Golf & Country Club (2000-2013), was designed by Jack Nicklaus in 2000. 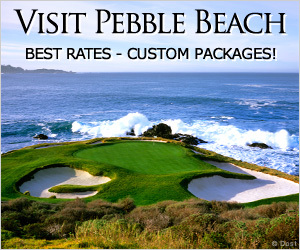 This spectacular layout is the only Jack Nicklaus signature course on the Monterey Peninsula. It is situated on a mountain ridge just off the Monterey/Salinas highway. The front-9 offers an excellent traditional feel reminiscent of other Jack Nicklaus creations. The back-9 presents extreme elevation changes. Tee boxes are setup from mountain-top to mountain-top as well as a few of which are greatly elevated above the fairway, allowing tee shots to soar . Undulating typography and strategic bunker location, combined with firm, fast, greens, makes this a demanding layout for even the most proficient golfers. 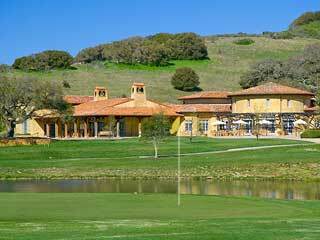 In October of 2013, Pasadera Country Club was re-branded to the Nicklaus Club – Monterey. The re-branding reflects the ongoing involvement of the most iconic champion in the history of the game, and one of the most respected names in golf. Jack Nicklaus has always been proud of his design work at Pasadera Country Club, and now he strengthens his connection to the Club by bringing in his company’s management services and years of experience. The Nicklaus Club – Monterey is the only Club in the United States to be managed and branded under the Nicklaus name. Considering Jack Nicklaus has won a U.S. Amateur, U.S. Open and three Crosby Pebble Beach National Pro-Am titles in the region, it's fitting that there's a golf course on the Monterey Peninsula named after him. 8 miles from the center of Monterey.